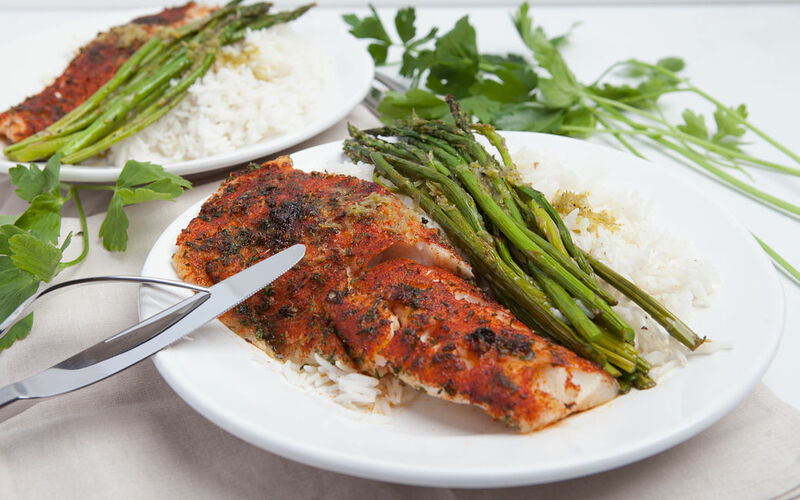 Prepare your cod fillets with a resplendent blend of spices to enhance your dinner and mood after a long day of work. Super simple and super tasty, just the way we like them! Brush the cod fillets with 1/2 of the olive oil. 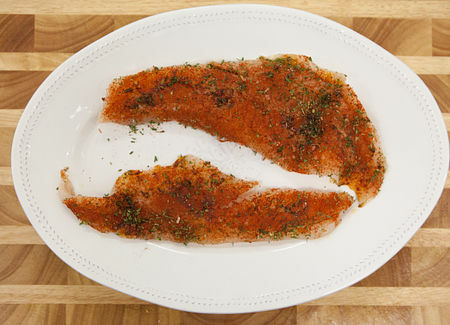 Rub the fillets with the spice mix*, making sure to coat them very well. 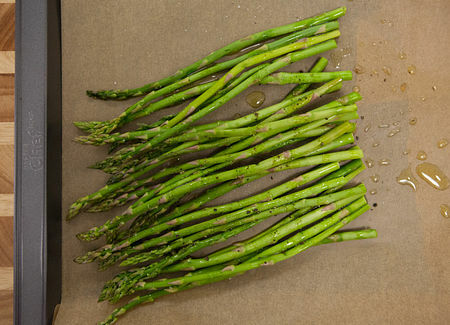 Remove the ends of the asparagus and lay flat on a baking sheet lined with parchment paper. Drizzle the vegetable oil on top and add salt and pepper to taste. 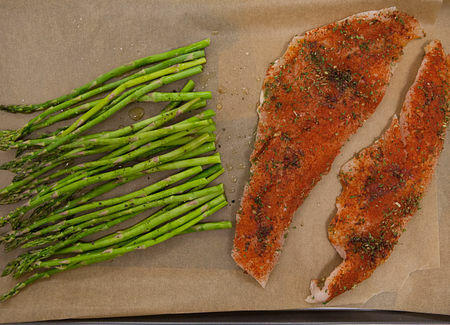 Place the cod fillets on the baking sheet and roast in the oven for 10-12 minutes. In a pot, bring the water for rice and the rice to a boil. Once the rice is boiling, cover and reduce the heat to low. 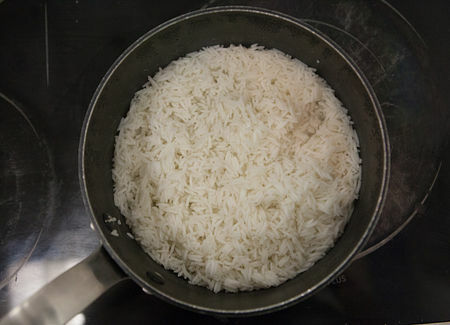 Cook 15-20 minutes or until the water is absorbed, then remove from heat and let the rice stand covered for 5 minutes. Fluff lightly with a fork. 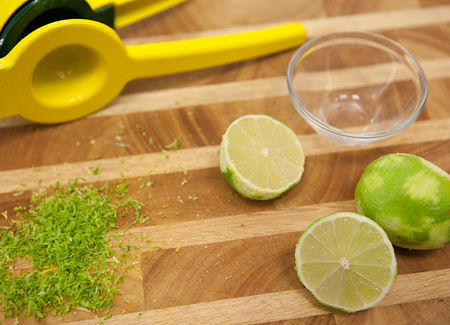 Zest the lime and cut in half. Juice one half and cut the remaining half into wedges. In a small saucepan, melt the butter with the remaining olive oil. Add the lime zest and lime juice to the pan and mix. 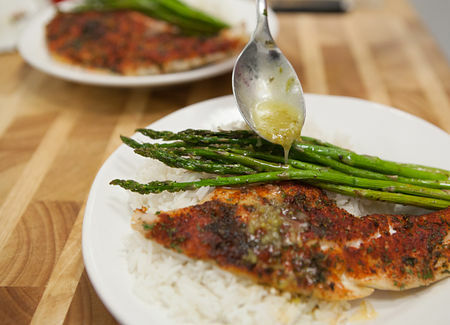 Serve the cod over rice and asparagus, and top with lime butter. Serve with lime wedges.